We’ll be the first to admit: Instagram is seriously addicting! But we simply can’t get enough. We love pretty pictures, we love getting inspired by the pretty things in life, and we love Instagram! So today, we’ve interviewed Bobbi who we initially discovered from her ever so BEAUT-i-full Instagram account. 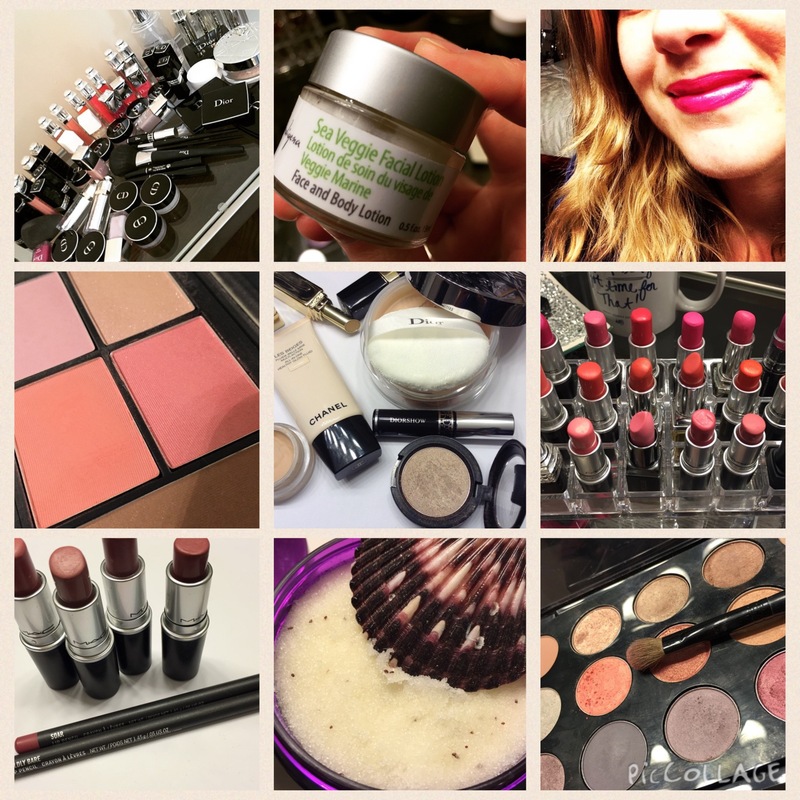 We seriously suggest following her insta-account if you're after some major beauty goodness. Not only is her feed full of amazing product reviews, Bobbi also shows organization and decorating hacks so you can make your surroundings as beautiful as your makeup. Tell us about yourself! I'm a busy 31 year old, who loves all things beauty, purses and the outdoors. Since junior high my friends have come to me for beauty advise and recently i started an Instagram page to share with other beauty product lovers. What's in your Indigena stash? What do you like about these products? I like that these products are natural, local and sustainable. Not just locally made but with local ingredients like bake apples, blueberries and seaweed from our waters. What does your daily beauty routine entail? My daily beauty routine starts at 7am. Shower, Coffee and Breakfast. I apply facial serum, moisture cream and eye serum before any make up. While having my breakfast I let the products absorb. Blow-dry/Curl or straighten my hair. In the summer i let it air dry. I apply primer, foundation or CC cream, concealer, eyeshadow, bronzer, blush, eyeliner, mascara and lipstick. At the end of the day i use eye make up remover, cleanser, and apply eye cream and moisturizer. Does your beauty routine vary season to season? My beauty routine does vary season to season: In the fall/winter i need a heavier moisturizer, foundation, body butter and heavier conditioner for my hair. I also use a lot of darker makeup products (golds, plums, etc). In the spring/summer i lighten up with a light weight gel moisturizer, light conditioner, tinted moisturizer/bb cream and use more pinks/orange makeup colours. Do you have a star product you can’t live without? My Star product that I can't live without is my mac concealer. I can't leave the house without applying it. Do you have any secret beauty tips + tricks? Secret beauty tips... I use different face masques on different parts of my face. I use Indigena Blueberry Bliss face masque on my cheeks, forehead, around my lips and I use Glam Glow Super mud on my problem area-my T-Zone (chin, nose and between my eyes). After cleansing i use the Sea Mineral mist = awesome glowing clear skin! Anything we’d be surprised to hear about your beauty routine? Im a hi-lo mixer of all things. I have both drugstore and high-end beauty and skincare products in my collection. Im open to trying new things but when i find something that i love i will stick with it. My favourite lipsticks are from NYX, favourite eyeshadows are from MAC and my favourite foundation/powder is from YSL and Chanel. Im the same when it comes to fashion. I love Louis Vuitton bags and I have been collecting them since 2008. Most of my clothes comes from Forever 21 or H&M. They have great dress clothes and blazers that are good quality and affordable. What is your desert island product you cannot live without? My must have products are: Indigena Sea Mineral Mist, Smooch Lip Balm and Seaberry Soap, Mac studio finish concealer, Bioderma Sebium Cleansing Micelle Solution, Beauty Blender, L'Occitane Cherry Blossom Hand Cream, and Bumble and Bumble Sea Salt Spray. A long list but I can't just pick one! Thank you to Bobbi for your kind words and answering our interview questions! We would also like to get to know more of you and what is in your Indigena Stash, so if you would like to be featured please e-mail us at hayleigh@indigenaskincare.com.